Datsun Cross has 200mm ground clearance; Will feature a CVT gearbox and 3-row seating arrangement for 7 passengers. 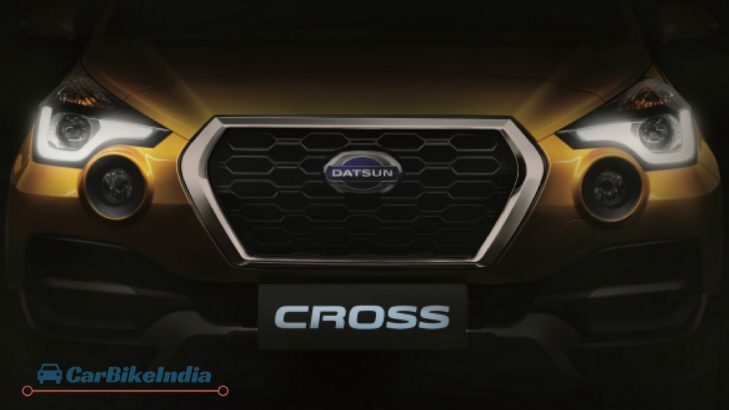 The production-spec Datsun Cross, earlier unveiled as the ‘Go-Cross Concept’ at the 2015 Tokyo Motor Show and the Indian Auto Expo 2016, will make its international debut tomorrow in Jakarta, Indonesia. 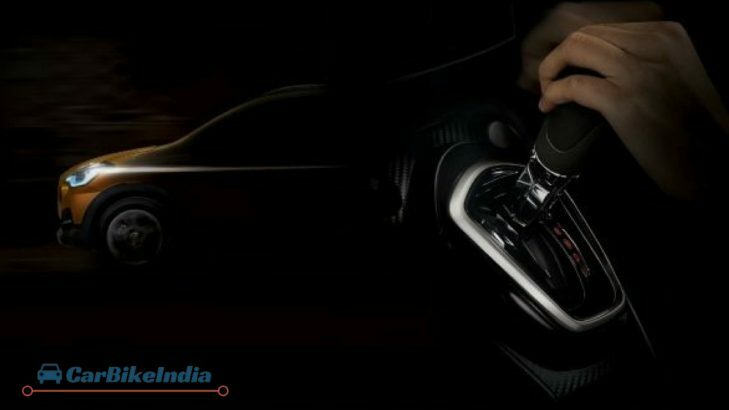 As reported earlier by CarBikeIndia, the Datsun Cross is confirmed to be introduced with a CVT gearbox, however, a five-speed manual transmission is kept standard. Earlier, the company released the teaser image of this crossover that confirmed that the car will called the ‘Cross’. Now it is also confirmed that the Cross will stand high compared to its siblings and will have the ground clearance of 200mm. This car is also supposed to make its debut in the Indian market this year and is anticipated to be priced in the range of Rs. 4 lakh to 5 lakh. Compared to the ‘Go’ siblings (the Go and Go+), the Cross has gained quite an impressive styling and the entire profile looks upmarket. 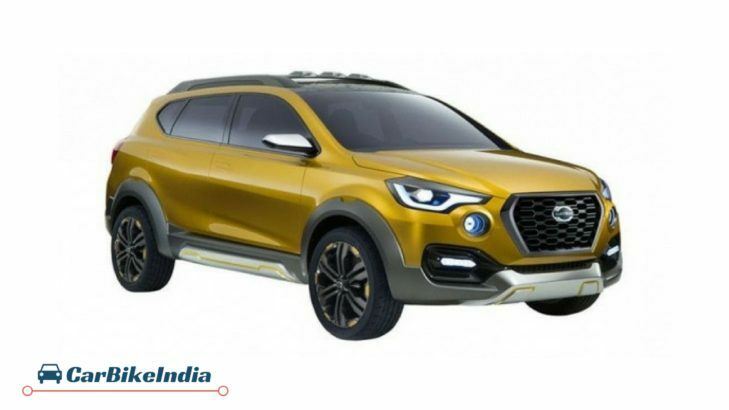 The exterior features the projector headlamps with LED DRLs, Datsun’s iconic grille, the bumper embedded fog lamps, faux skid plates and a sporty tailgate to name a few. Its taller 15 inches wheels are surely going to be the attention grabbers. The car looks more of an SUVish offering that stands on Nissan Micra’s V-platform. The inside of the Datsun Cross is made roomy enough and has 3-row seating arrangement for 7 passengers. The car also gets a 6.75 inches touchscreen system that comes with Bluetooth, AUX-In, USB and Smartphone connectivity. Safety isn’t compromised either, the car gets features like Anti-lock Braking System (ABS), Vehicle Dynamic Control (VDC) and Dual Front Airbags. Under the hood, the car is much similar to the Go+ MPV. It gets a 1.2-litre three-cylinder petrol engine that can produce peak power of 67 bhp and maximum torque of 104 Nm. There is no diesel engine to offer in the Indonesian market, and same can be expected when the car arrives in the Indian auto-market, as all the Datsun cars based on the V-platform are currently offered with a petrol engine in the Indian subcontinent. However, there are rumors that Datsun may also introduce this car with a high powering 1.6-litre petrol engine. Once launched in India, the Datsun Cross will have to compete with Honda BR-V and Mahindra KUV100. Stay tuned for Datsun Cross news updates!